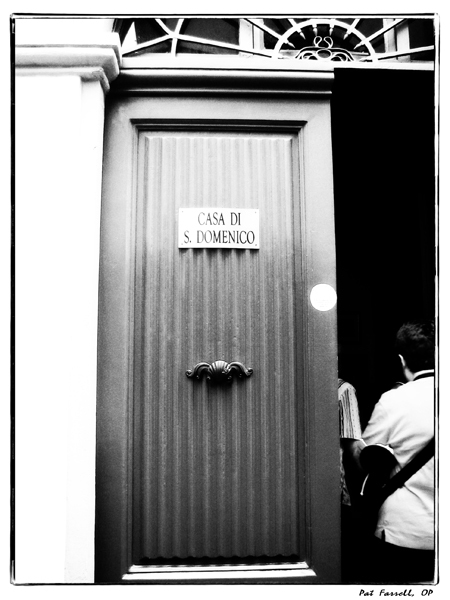 This is a door of a Dominican Sisters' convent in Pisa, Italy. Some people wonder why a young, happy, and intelligent woman would want to be a sister. They might even think it’s a crazy idea. What might God be calling you to do? How might God be calling you to live? Do you worry about what people might think or say? “What-people-think” never stopped Jesus – don’t let it stop you. Come and meet the Dominican Sisters of San Rafael on February 4th. We don’t know what others would say, but we don’t think it’s a crazy idea.